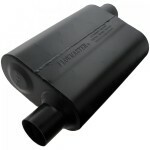 Looking for a New Exhaust System? We’re Here to Help! 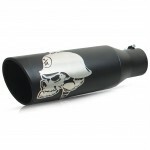 Looking for the best performance exhaust system for your car or truck? We’re here to help! We never realized how difficult it was to find cat-back exhaust systems and mufflers online until we started searching for ourselves. We wanted a bolt on system that would give us more power and great sound – but we struggled to find the perfect exhaust. In order to make this process easier for our gearhead friends we decided to put together everything we learned into the ultimate exhaust systems guide. 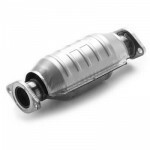 What you’ll find here are detailed reviews on the best exhaust systems – including exhaust manifolds, catalytic converters and exhaust tips – We’ve covered it all. Whether you want a louder muffler or more performance, a new exhaust just might be the answer. There are so many brands and styles of systems to choose from the it can become overwhelming – even for car buffs like ourselves. What Are the Best Exhaust Systems Brands? When there are an endless number of exhaust options available for your car or truck, where should you start? The key to finding a great exhaust system is to start with a high-quality brand. While shopping for performance parts, I bet you’ve heard a few of these brands below. 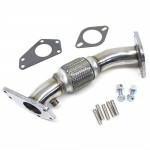 Some of the most popular include Magnaflow, Flowmaster, Walker, Borla and even Corsa. But how can you tell what brand is right for you? Depending on what type of performance you need or your budget range, the brand you choose will make a huge difference. Each brand delivers different levels of quality, customer service, performance and even sound. 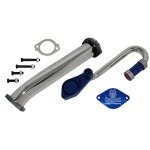 MagnaFlow offers 100% stainless steel exhaust systems that are backed by a lifetime warranty. You can always count on getting the most horsepower from MagnaFlow because all of their systems are Dyno tested and proven. Flowmaster offers performance exhaust systems, mufflers, exhaust kits, racing mufflers, stainless steel mufflers, exhaust accessories and tips for cars, muscle cars, pick-up trucks, diesel trucks, SUV’s, and most vehicles. Flowmaster exhaust systems and mufflers come with that distinctive “Flowmaster sound” available in mild, moderate and aggressive tones. 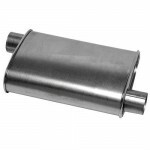 Borla is the pioneer and leader in the design and manufacture of stainless steel performance exhaust. 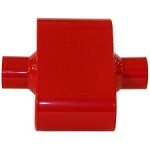 They began three decades ago as a manufacturer of exhaust systems for Rolls-Royce and Ferrari cars. Now they have evolved into the premier manufacturer of today’s performance vehicles for the street, off-road, and racing. With the majority of automotive retailers selling this product all across North America it has become a household name among gear heads. 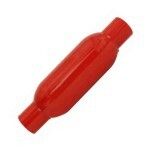 The glasspack comes in several different forms but the principle still remains the same. CORSA Performance is the market leader for premium exhaust through advanced engineering and innovation. Utilizing our patented RSC® technology, CORSA continues to enhance the driving experience for you, delivering powerful sound and noticeable performance gains without sacrificing the pleasure of cruising in your car or truck. Since entering the Corvette market in 1998, CORSA has engineered the most advanced exhaust systems in the world. Each exhaust system is tailored to deliver exactly what that vehicle, and more importantly, the owner needs. 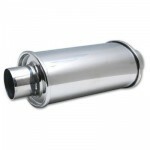 Walker exhaust systems are designed for those looking for superior emission control. 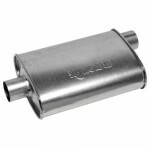 You can find a wide range of mufflers and catalytic converters available from them online. 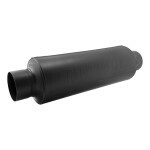 One of their most popular products is the Walker SoundFX Muffler. 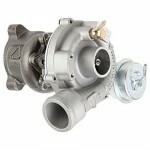 It features sophisticated pipe routing and tuning technology that provides better flow and favorable OE-style sound. Their all-aluminized construction provides longer service life and quality appearance. With a new line of exhaust systems specifically engineered for late-model muscle cars, everyone will take notice of your pride and joy. 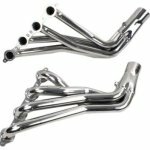 With a powerful exhaust tone that screams performance, the Gibson line of single and dual systems offers additional performance gains for vehicles such as the Ford Mustang, Chrysler 300/300C, Dodge Magnum, Dodge Charger and more. 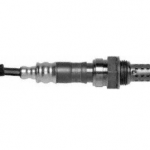 Systems are available for both V-8 and V-6 models and are designed to reduce backpressure with mandrel bent tubing and include a polished, intercooled T-304 stainless steel tips. These exhaust systems include Gibson’s Superflow Muffler with (CFT) Convergent Flow Technology, featuring a chambered and louvered design. How Much Will an Exhaust System Cost? 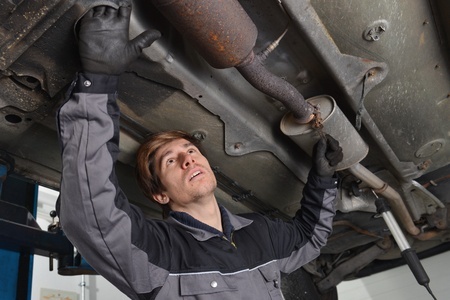 Depending on your needs, you can get new exhaust system for your car or truck at a discount – if you know where to look. 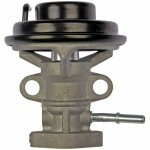 However, like most performance parts, the more power you want, the more it will cost you. So, how much will a new exhaust cost? A new muffler costs $100 and up, while exhaust tips will run you around $50. What if you need a cat back exhaust? These systems will cost $500 and up for a high-quality exhaust. What Are the Different Types of Exhaust Systems? 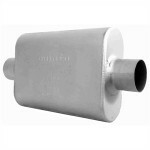 Exhaust systems are available in many different styles and configurations. One of the main reasons my friends decide to upgrade their exhaust is to get more performance out of their car or truck. Not only can a new cat back system give you a better sound, but it can also give you more horsepower and better performance. In the next coming weeks I’ll be starting a new performance exhaust guide series to help you identify the best system to get more horsepower. Have questions about what to look for? What to know about a specific brand? Send me your questions and answer them in the free guide. What Exhaust Systems Have the Best Sound? 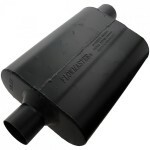 An easy way to change or improve the sound of your exhaust is with a new muffler. Although an entire exhaust system will help you increase both performance and give you a great sound, they are usually more expensive. 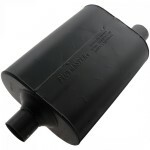 New mufflers are a simple and cost effective way to get that deep sound you’ve been looking for. Don’t drive around with a stock muffler another day – you deserve a great sounding car without spending a fortune! Keep reading to find out what exhaust systems have the best sound. What Are the Best Diesel Exhaust Systems? 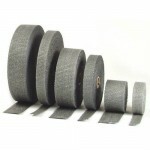 Diesel exhaust kits differ from normal exhaust systems in a number of ways. The first is that diesel engines require a Diesel Particulate Filter instead of a catalytic converter. So when you start shopping for diesel exhausts your will find that they are called “filter back systems” instead of “cat back”. 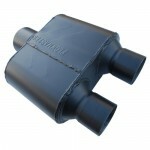 Also, diesel exhaust stacks are very popular in high-performance and off-road trucks. 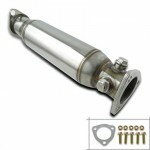 What Type of Catalytic Converter is Right for My Car? On the other hand, if you live in another state you may only have to meet federal emissions requirements. Be careful to check what requirements your state has before you put down your hard-earned cash on a new catalytic converter. What are Common Exhaust Problems? 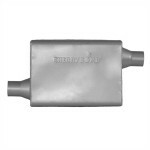 One of the most common problems drivers have is with their catalytic converter. The “check engine light” will come on and give an P0420 error code.